As someone who engages in education policy advocacy and development for a living, it’s good to know opportunities abound for me and fellow policymakers to hear the voices of America’s teachers and to apply their perspective in crafting policy solutions to educational challenges. 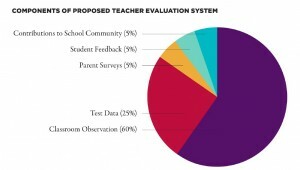 Apart from the traditional participation of teachers unions (American Federation of Teachers and National Education Association), a number of national and state-based initiatives (Accomplished California Teachers, Teach Plus, VIVA Project) have launched to inject the voices of teachers into education policy discussions. Policymakers attending the annual summit of the State Consortium on Educator Effectiveness (SCEE) last month were listening. While there, I was reminded of the power and wisdom of teachers while hearing 2011 National Teacher of the Year Michelle Shearer deliver the keynote address. She offered four key insights that add depth and complexity to the current policy conversation about effective teaching. I believe every policymaker focused on education should hear what she had to say. Second, Shearer contended that much of what we want from great teaching – like compassion, caring, and relationships with students – cannot be measured or observed. Such dispositions are critically important but may be in danger of being lost within data-driven evaluation systems. Third, Shearer shared that while teaching is competitive at times, it also must involve collaboration for the greater good. A group of successful public school teachers in Florida echoed this in “What turned our teachers into our favorites?,” an article about some of the common traits that great teachers share. Lastly, Shearer told participants that effective teachers empower students to hold each other accountable for learning and for the use of classroom time. A teacher might do this by instructing the entire class to work as a group toward a common goal. To an extent, the use of such an instructional strategy is contingent upon a school leader who creates a school environment where teachers have opportunities to share decision-making and the freedom to teach outside the box. This view of teaching is largely antithetical to the behavior-focused accountability systems created by federal and state policies that assume and penalize underperformance. Shearer’s conception involves a teacher-driven spirit of collective responsibility built around a shared vision for learning. Effective teaching grows from cooperation rather than top-down control. So how can we think systemically and unleash the power and wisdom of teacher leaders as we develop policy initiatives aimed at improving teaching and learning? * Consider the implications of proposed education reforms on the complexities of teaching, including the work of Superintendent of Public Instruction Tom Torlakson’s Educator Excellence Task Force. Teachers should be given a seat at the table to develop and implement policy. The Task Force has done this. * Create an environment that empowers teachers and enables great teaching. The heads of eight influential policy organizations (U.S. Department of Education, American Federation of Teachers, National Education Association, Council of Chief State School Officers, American Association of School Administrators, National School Boards Association, Council of Great City Schools, and the Federal Mediation and Conciliation Services) took a step in the right direction on this recently by signing a shared vision for the future of the teaching profession. They set common goals and agreed on what it will take to meet them, including “Conditions for Successful Teaching and Learning.” The statement rightly acknowledges that “high-functioning systems can amplify the accomplishments of their educators, but a dysfunctional school or district can undermine the impact of even the best teachers.” We are working with a number of state partners to build such district and school climates. 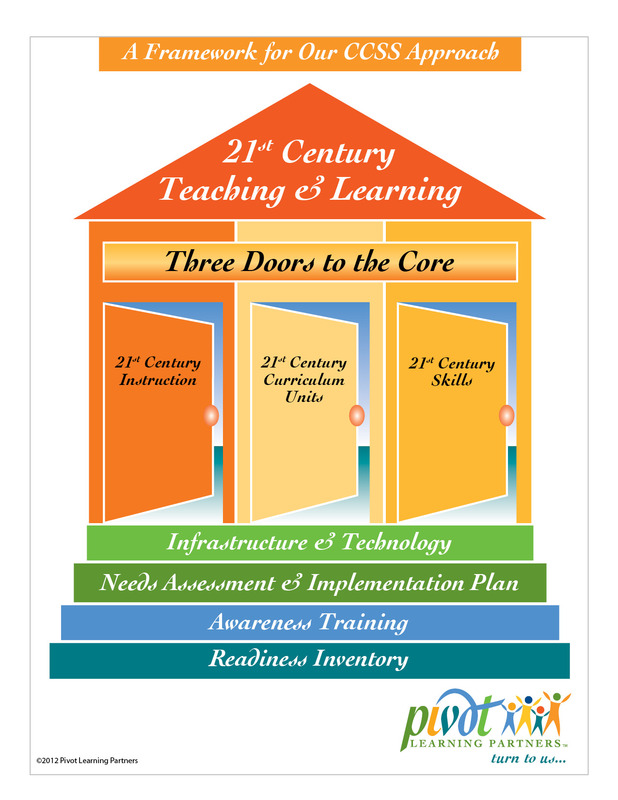 * Establish a policy framework that provides for individualized professional development for beginning and veteran educators and regular opportunities for teachers to collaborate, reflect, and learn. The state of Colorado’s comprehensive effort deserves attention. According to the state’s website, “the promise of educator effectiveness requires much more than evaluation.” Colorado employs five strategies for optimizing educator effectiveness: (1) hiring excellent candidates, (2) boosting teaching effectiveness through evaluation and targeted professional development, (3) retaining and leveraging top teaching talent, (4) prioritizing effective educators for high-need students, and (5) improving or dismissing less effective educators. * Involve teachers in key decisions around the development and selection of frameworks, curricula, and instructional tools associated with Common Core State Standards implementation. Doing so would help teachers understand and embrace the new standards and would contribute to the desired impact on classroom instruction. And, more simply, let’s listen to teachers. Liam Goldrick is Director of Policy at New Teacher Center, a national nonprofit organization dedicated to improving student learning by accelerating the effectiveness of teachers and school leaders. Liam leads a range of initiatives designed to strengthen new educator induction and mentoring policies at the state and national levels. Most recently, he served as project lead on the NTC Review of State Policies on Teacher Induction, which includes a policy paper and individual policy summaries for all 50 states. A Los Angeles County Superior Court judge has promised to finish up this weekend his decision on whether state law requires school districts to consider student test scores in evaluating teachers. A landmark ruling on behalf of students and parents suing Los Angeles Unified and the district’s teachers union would give Superintendent John Deasy the muscle of the law to press ahead with adopting growth in student performance as one of several metrics for teacher evaluations. It would signal to other school districts that they must also do so in some fashion. A ruling against the plaintiffs might not change the status quo, since few school districts currently use student test scores in formal evaluations. Oral arguments in the case had been scheduled for Tuesday, and Deasy, who’d been subpoenaed to testify, was in court. But after Judge James Chalfant indicated he had nearly completed his tentative ruling, attorneys for both sides agreed to wait until the next hearing, on June 12, to respond to what he has written. Chalfant didn’t preview his position, although he did dispute a characterization by the attorney for the district of the broad issue in the case – possibly a sign which way he’s leaning. He did make clear several times that he was thoroughly versed in the case, had read the record and recognized the case’s importance. What does Stull Act require? Sacramento-based nonprofit EdVoice, filing suit for the parents, has forced the issue in Jane Doe et al vs John Deasy. 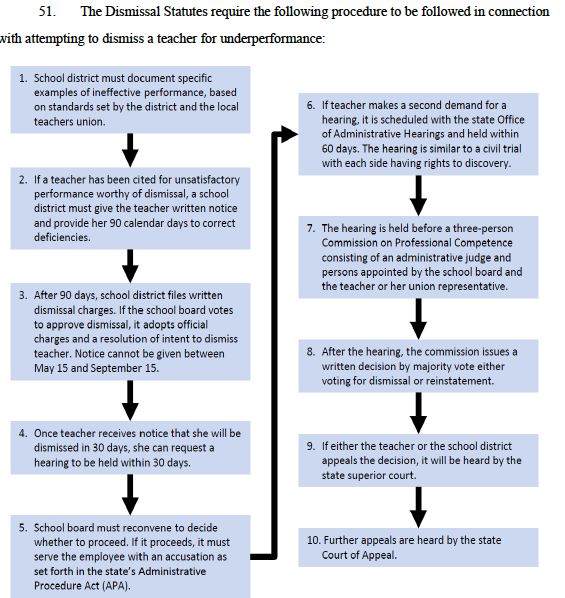 It argues that the four-decade-old Stull Act, the state law laying out procedures for teacher and principal evaluations, requires that evaluations consider “pupil progress as it reasonably relates” to district standards and to state academic standards as measured by the California Standards Tests. Among those agreeing with that position is Los Angeles Mayor Antonio Villaraigosa, who, when he was speaker of the State Assembly, sponsored a bill that updated the Stull Act. Los Angeles Unified has extensive data tying student test scores to teachers. It created a system, called Academic Growth over Time (AGT), that uses demographic data on individual students and their results on past years’ tests to project future results. Teachers are scored on whether students in their classes exceed or fail to meet those expectations. Deasy has shared AGT scores with individual teachers, though they haven’t counted in evaluations yet. He hasn’t said what percentage of an evaluation AGT would comprise, although he said it would be a minor piece. The plaintiffs argue that, in failing to incorporate test scores, the district “has relinquished its obligations to the students in order to placate more powerful interests” – in other words, caved to union pressure. As evidence, they point to 600 randomly selected teacher evaluations that they reviewed. While 98 percent of teachers had satisfactory reviews, less than 3 percent made any reference to standards or tests, attorneys said, and the evaluation forms contained no questions requesting information on students’ learning relative to standards. The plaintiffs argue that the failure to evaluate teachers effectively violates students’ civil rights, denying them their constitutional right to an opportunity for a quality education. Deasy has proven to be the plaintiffs’ star witness. Their brief begins by quoting from his deposition: “We do not currently construct evaluations of teachers by using how students do over time in terms of their academic outcomes.” On Tuesday, after a brief hearing, Deasy told reporters that he looked forward to a ruling that would help clarify the state law and support his effort to use AGT districtwide. He acknowledged that the district and UTA had discussed trying to settle the lawsuit, without success. Uses the results of multiple assessments to guide instruction. Lawyers for the parents, however, argue that these areas may examine and support effective teaching, but don’t tell you whether student learning has actually increased. United Teachers Los Angeles makes a very different argument. Contrary to what EdVoice, Villaraigosa, and the parents claim, UTLA says point blank, “The Stull Act does not prescribe how local school districts must conduct employee performance evaluations.” The criteria for evaluations are left to the school district, and any changes must be collectively bargained. And the district has wide discretion in determining how pupil growth “reasonably relates” to standards of student achievement, the UTLA argues in its brief. Two Los Angeles education groups have offered separate teacher evaluation frameworks that they hope will help break the impasse between Los Angeles Unified and its teachers union, United Teachers Los Angeles. “There is frustration that, even after years of discussion, there still is no new system in Los Angeles,” Mike Stryer, a former Los Angeles Unified teacher who helped create the plan for Our Schools, Our Voice Coalition, said at a news briefing Thursday. Both Our Schools, Our Voice Coalition – with parents, education advocates, and some Los Angeles teachers – and Teach Plus, a national network of teachers with a chapter in Los Angeles, support phasing in AGT, but with conditions. Among requirements under the Our Schools, Our Voice Coalition plan, AGT wouldn’t count unless a course’s curriculum matched the standardized tests and there was a statistically significant sample size. AGT wouldn’t count for probationary teachers. And all test results would remain confidential, inaccessible to the public and the press (no more providing data for publishing in the Los Angeles Times). Use of test scores would be phased in, counting 10 percent the first year, reaching a maximum 25 percent after three years. Teach Plus also advocates starting at 10 percent, working up to a third of a teacher’s evaluation, if benchmarks for test integrity and reliability are met, said John Lee, executive director of Teach Plus Los Angeles. What the union, the district, and the two outside groups all agree on is that classroom observations should constitute the biggest piece of an evaluation: 60 percent under Our Schools, Our Voice’s plan and at least half, Deasy has indicated, under the district’s. The district is currently training principals in uniform observation rubrics and piloting observations in 100 schools involving 700 teachers. Teach Plus wants teachers to help evaluate their peers in areas requiring content expertise but in a capacity of providing classroom guidance, separate from a formal evaluation with consequences. UTLA favors an expanded use of Peer Assistance and Review, a panel of teachers who counsel teachers needing improvement and recommend dismissal for those who “have been given a real chance to improve but are unable to meet clearly defined standards.” Under the Our Schools, Our Voice recommendations, a mentor will be assigned to a teacher identified as needing intensive support for at least a full year. Like the district’s eventual plan, Our Schools, Our Voice proposes student surveys (beginning in the third grade), parent surveys, and a measure of contributions to the community – each counting 5 percent. And Our Schools, Our Voice includes a new, intriguing element: a way to identify and reward, with up to a bonus 10 percent score, those teachers who help close the achievement gap for Hispanic students, African American students, and English learners in the bottom quarter who make marked progress. The release of both organizations’ recommendations is intended to prod UTLA and the district to start talking. But at this point, leverage is more likely to come from the courts or the Legislature. On Tuesday, in Los Angeles County Superior Court, there will be arguments in a suit brought by the nonprofit EdVoice on behalf of Los Angeles Unified and UTLA over the failure to include standardized tests in evaluations. EdVoice makes a good case that the Stull Act, the 40-year-old state law on teacher evaluations, requires test-score use, but districts like Los Angeles Unified have ignored the provision. A victory by EdVoice – and indirectly for Los Angeles Unified, though named as a defendant – might force UTLA to back off its unqualified opposition to the use of test scores. 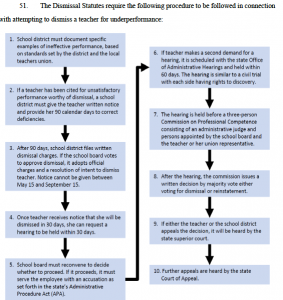 Until now, Los Angeles Unified has argued that it has the exclusive right to determine the requirements for an evaluation. It exercised that right in setting up the pilot evaluations, despite the opposition of UTLA. But later this summer, the Senate will likely take up AB 5, sponsored by Democratic San Fernando Valley Assemblymember Felipe Fuentes, which would replace the Stull Act. As currently written, most aspects of an evaluation process would have to be negotiated with unions, which could stretch out adoption of a new system for months, if not years.